Surprise! Wix Will Indeed Air A 2018 Super Bowl Commercial! 0 out of 5 based on 0 ratings. 0 user reviews. Who doesn’t? 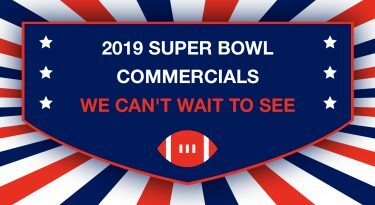 And what better than to find out that one of the best Super Bowl advertisers out there is opting in – even after they promised that they’d be sitting out? That’s right – Wix has pulled a surprise Super Bowl commercial, announcing less than 48 hours before kickoff that they will be airing a 30-second spot in the 3rd quarter of Sunday’s Game. In a huge Facebook Live event aired on Friday afternoon, Feb 2, Wix let us know that they have changed course and decided to advertise on Game Day! What does Wix have in Store? The ad is a partnership between Wix and online stars Rhett McLaughlin and Link Neal – AKA Rhett & Link. As cohosts on Good Mythical Morning, one of the Internet’s most popular shows, the duo boast a YouTube channel followed by 20 million subscribers! Plus, Rhett & Link created this hilarious teaser! Looks like they’re pretty psyched to be starring in a Big Game spot! Why Is This Wix Super Bowl News So Huge? Wix wasn’t quiet about their plans to not advertise in this year’s Super Bowl. Wix’s CMO, Omer Shai, had told numerous media outlets that Wix would not be investing in TV ads at all in 2018. According to AdAge, Shai said that Wix would focus instead on digital campaigns and working with influencers to help them promote Wix. Wix says, this was no publicity stunt. Shai claims that the decision was in fact made in the days before Super Bowl LII. On Friday he said, “Yesterday, we got a great offer that we couldn’t refuse to run a spot in the Super Bowl, and although we had less than 24 hours to decide and deliver, we made the decision to go for it!” Yep – it seems they just couldn’t resist! 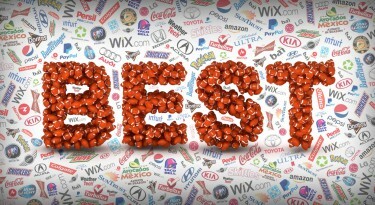 After all, Wix is damn good at Super Bowl ads! And with big-time media influencers Rhett & Link on board, it’s a can’t-fail recipe for Super Bowl success! Meanwhile, if you haven’t seen some Wix Super Bowl ads, you’ve been missing out. 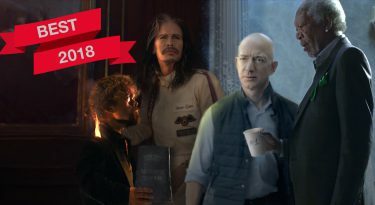 Here are two of our favorite Super Bowl ads – the Wix Big Game spots from Super Bowl LI and Super Bowl 50! Have all these ads got you curious about this thing called Wix? Do something productive – go try out the famous website builder yourself!